The Graeagle Millpond juniors fishing derby is set for May 18th. 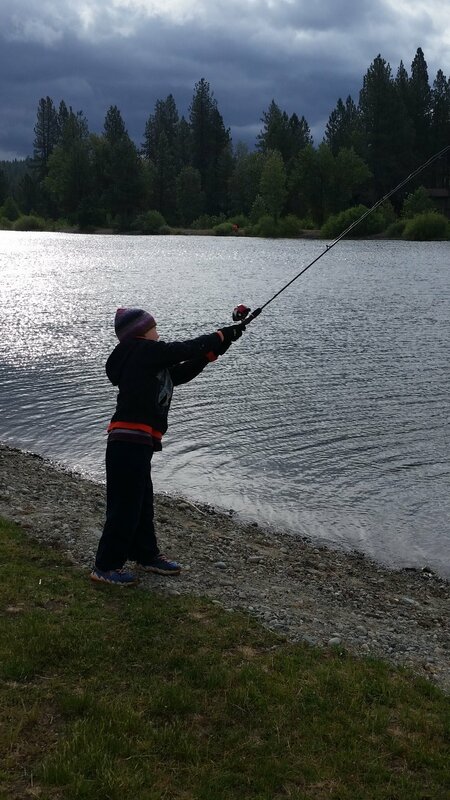 Every spring, FRTU sponsors a fishing derby and outdoor experience for young children and their families. A limited amount of free equipment is available. If you have your own fishing equipment please bring it with you. Our annual 2018 Fishing Derby at the Mill Pond in Graeagle was a great success. Thanks to all who came out and participated! Fish on! Sent in by a friend with permission to share. It was a blistery 2018 Millpond Fishing Derby, but we had a good turnout despite the weather. This is Jasper determined to catch a trout! For more information contact Cindy Noble at cindy.frtu@gmail.com.